Chase is often in the news for the goings-on with its CEO Jamie Dimon. Dimon has been a visible face of Chase for sometime now and plays a powerful role in the American financial sector. But while its outspoken leader is making changes on Wall Street, his bank’s credit cards are making their way into more consumers wallets. This week, we take a look at a few of the co-branded credit card offers from Chase Bank. There’s one new partnership with Disney that’s timing couldn’t be better with the upcoming holiday season. Keep reading as we take a look at three of the most popular co branded credit card offers, courtesy of JPMorgan Chase. The Chase Disney Premier Visa credit card offers up a lot of great features. It offers a low annual fee and the savings cardholders enjoy in Disney stores and theme parks make that low fee more than reasonable. You can easily use the Chase Disney card online at any of the Disney websites, too. But there’s more than just big Disney perks. This is a great choice for young families who enjoy the Disney theme parks and who has little ones who love all of the Disney characters and products. The low fees and many perks make it a welcome addition to families. Card members earn a reward point for every dollar spent. Use this Visa in restaurants, gas stations, grocery stores and, of course, Disney related locations, you’ll earn even more – up to 2%. You’ll enjoy these great Disney rewards with a 0% intro APR for all your purchases made during the first six months of opening your account. Plus, you earn a $100 credit statement after you use your credit card for the first time. As we mentioned, there’s a low annual fee, but it’s just $49 and you get to choose from eight Disney inspired premier-only card designs. A good credit rating gets you this credit card and you can even transfer balances. Another co-branded offer, this time, Chase partners with Marriott Hotels. You’ll earn an impressive 30,000 bonus points after your first purchase which can be used for up to four free nights at a Marriott Hotel. Not only that, but when your account is approved, you’ll also receive a two free night voucher. There’s a $45 annual fee that’s waived the first year and you’ll earn three points for ever dollar spent at Marriott hotels and one point for ever dollar spent on any other purchases you use your Chase credit card. You’ll also reach Silver elite status and will then receive ten free stays, or “credits”, at Marriott hotels. Your rewards never expire and there’s no limitations on how often you can use your rewards. You can use your Marriott Rewards Chase Visa for balance transfers, too. Excellent credit earns your approval for this credit card. Because they never expire, you can use your saved up reward points for shopping offers, too. Late payment fees are $35 and a 21 day grace period is built into the credit card. The APR on cash advances is currently 19.24% with a 4% cash advance fee of the total. If you use your Marriott Chase card for balance transfers, you’ll pay a competitive 3% fee. Participating hotels include Marriott, Renaissance and JW Marriott. Each has its own powerful reputation for remarkable customer service and impressive perks. Another great co-branded offer with Chase, this time Hyatt Hotels is the partner. You’ll receive two free nights after your first purchase with this Chase Hyatt Visa and another free night every year on your account anniversary. There are no foreign transaction fees for those who like to travel and you’ll rest easy with smart chip security protection on all of your purchases made outside the U.S.
You’ll earn one Hyatt Gold Passport point for every dollar you spend, and you’ll earn three for every dollar you spend at any Hyatt property. Earn as many as you like as there are no limits and your award choices come with no fees – no redemption fees, internet fees or even resort fees. There is a $75 annual fee with this co branded credit card, but you’ll see how quickly that becomes a non-issue once you’ve experienced time spent on a Hyatt property. It’s a great choice for those who like to travel. Cash advance APR is 19.24% with a 3% fee for the total amount and a 3% fee for all balance transfers. Your late payments are $35 and this credit card comes with a 21 day grace period. 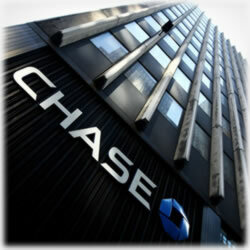 Remember, Chase offers it customers up to six years of past statements on the Chase website. It offers a full suite of banking products, including investment portfolios, checking and savings accounts. It also recently introduced its version of a reloadable debit card, the Chase Liquid. Gift cards, online mobile banking and business and commercial banking products finish its offerings. There’s also a full product offering of insurance, retirement planning and annuities. You can do all of your banking, make your credit card payments and transfer funds on the Chase website and it’s protected by the latest in security technology to keep all of your online transactions safe. Remember to carefully review the terms and conditions of any credit card offer. If the conditions or stipulations don’t fit into your lifestyle or budget, the perks and benefits mean little. Changes made in recent years have resulted in what are sometimes completely redesigned terms and conditions, so there could have been changes you might not be aware of. These are just a few of the great co branded offers courtesy of JPMorgan Chase. With a focus on consumer satisfaction, it’s little wonder it does so well with customer reflection surveys. Apply for any of these – or any of the other Chase credit products – on our site and if you’re already a Chase customer, we’d like to know your thoughts. Leave us a comment or visit our Facebook page.